“Alchononymous” is a Ventura County adult. We are grateful to him for sharing his experiences with us, and appreciate his honesty. The viewpoints expressed in this post are not necessarily those of Straight Up. 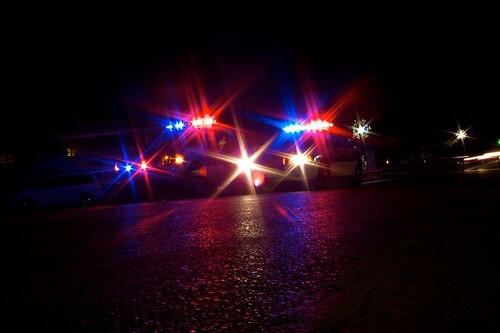 In my first blog we discussed, what the repercussions were for a first time DUI offender. I hope that story might have enough impact on you to never drink and drive again. If for some weird reason it hasn’t, then I’ll continue to tell another daunting tale. After I got through all of the negative consequences of the DUI, I thought I had learned my lesson. I always made sure when I went out I had a Designated Driver (DD); if not, I would take taxis to/from places or for the most part I would stay places if I had drank alcohol. I thought I had it all figured out, since I had “invested” so much time, energy, money and effort the first go around. One fateful night, I had gone over to a friend’s house to celebrate his birthday and partake in some alcoholic beverages. We drank well throughout the night, and stayed safe by staying at his home. We didn’t drive anywhere, or go out, so I thought we were in the clear. I was using all of the “safeguards” I had put into place to make sure I never received another DUI. I had gotten up particularly early that morning, to head back home. I felt perfectly fine, was completely coherent, and was ready to get on my way. I was on the road for about 30 mins, and was about 15 mins away from my destination, when I looked in the rear view mirror and saw the police lights. “What? Why was I getting pulled over?”, I thought to myself. I pulled over, and the officer said that he had pulled me over for speeding. I was going with the flow of traffic, I remember cars to the left and right of me going the same speed, so why did I get pulled over? He then also mentioned that he had identified that I was on probation for a DUI arrest and had probable cause to pull me over…What the hell, not this again! He asked me to step out of the vehicle, and perform the field sobriety test, which once again I passed according to the officers. He then said he had the right to take me into the station to further test my blood alcohol levels. As being on probation, you have to oblige with all officer requests, or it can be an even bigger problem. So I went in and performed the tests. My first time around through this process, I was skittish, and wary of blowing in the breathalyzer. This time, I was confident and really felt that I was totally sober, as I had slept in the night before, and left in the morning. As soon as I got into the station and performed the breathalyzer, the officer told me it had registered alcohol on my breath! What the hell, is this guy serious? My stomach dropped to my knees, and I felt like I was going to throw up! This couldn’t be right, I thought to myself, I took all of the necessary precautions, how did I still have alcohol in my system? And just like that I got slapped with my 2ND DUI! As I had mentioned in my first blog post, the alcohol education classes I was mandated by the courts to take were an absolute joke. The reason why I had said that was they failed to teach me the biggest lesson of all — which caused me to get my 2nd DUI. Its all about one’s TOLERANCE and understanding the body’s physical capabilities to metabolize alcohol. As much as I was shocked to learn that I have received my 2nd DUI, I was even more shocked at the exponential increase in magnitude for the consequences this go around, and if the negative repercussions from the first one didn’t scare you, this certainly will. Let’s calculate the damage to one’s life below. As shown from the table above, the consequences are infinitely worse the 2nd time around! As I discussed in my first blog post, in addition to the tangible impact, there was a significant amount intangible impact, in terms of impact to one’s career, progression, salary, ability to apply for new jobs, changing industries, etc. If it was difficult for me to do any of those in the first place, can you imagine how much more difficult it is now? It is nearly impossible for me to now progress my career, change jobs, increase my salary, etc. It is the worse feeling in the world, to know that not only did I have to dedicate 2 years of my life paying expenses, and spending time in alcohol education classes, but I have stunted my career growth. The table above just shows the black and white, but there are many shades of grey that I had to endure that a table cannot describe. The deplorable conditions in jail, being treated like an animal, and the worst kind of human confined in a cage. The list goes on and on…and even though I have completed all of my mandatory consequences, every day I’m faced with this issue, and every day I realize that it was never worth it. Even though, I thought I had learned from the first one, and took the proper precautions to safeguard myself from another DUI, it happened again to me. So the whole intention of why I wrote this two part blog was to show to each and everyone of you that you could never be too safe or have a fool-proof plan when it comes to impaired driving. I had to learn the hard way, but I really hope that none of you have to learn at this level. It was one of the most depressing experiences in my life, and I truly wish that none of you have to go through this. Understand your tolerance, gauge your drinking, and know what levels you are at when you drink.These are just some of the plans that I use whenever I decide to go out for a drink. Please make sure you keep these in mind and are that you re ready at all times to deploy a plan (and a back-up plan), so this never happens to you. I would like to thank you for reading my blog posts, and giving me the opportunity to share my horrible experiences with this DUI process, however the positivity that came out of this was being able to put together effective plans. I hope that you’ll can take these experiences, learn from them, and adopt your own plan. At the end of the day, this may save your life, a loved one’s — or any human being, for that matter.